Perfect chairside companion. 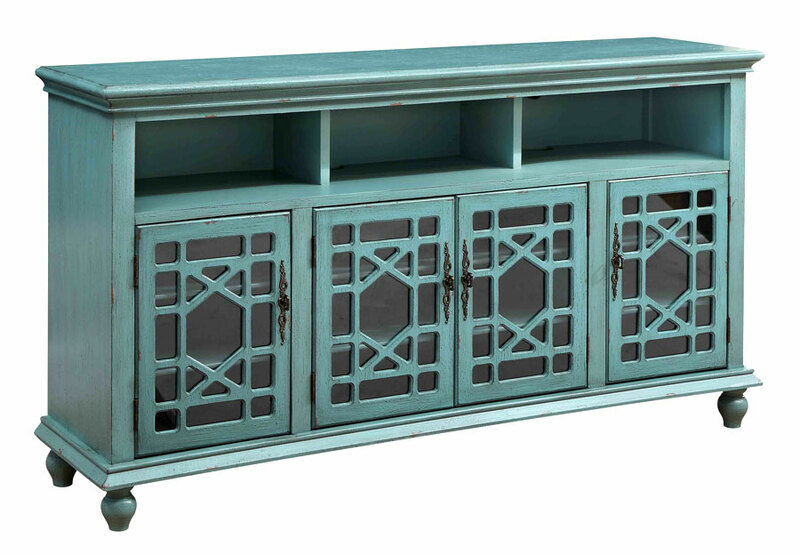 This one door one drawer cabinet has a Teal textured finish, decorative fretwork mounted over clear glass. Finished on all sides for use next to a your favorite chair or tuck against a wall next to your sofa.